Make sure you're using the correct web address to log in. If you aren't sure, ask your system administrator. Try resetting your password. See How do I reset my password? for more information. 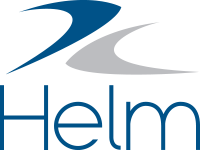 If you haven't used Helm CONNECT for a while, your account may have been deactivated by your system administrator. Ask the administrator to reactivate your account and then try to log in again. Your password might have expired. If you are trying to log in to a local installation on an asset that's configured to use multi-user sign on, you will have to log into Helm CONNECT in the cloud to change your password. If you are unable to log in to a local asset installation, ask your system administrator to check your asset configuration in Helm CONNECT Fleet to make sure that it is using the version number that is listed at the top of the Fleet page. If the version number doesn't match, your system administrator will need to call Helm Support for assistance.